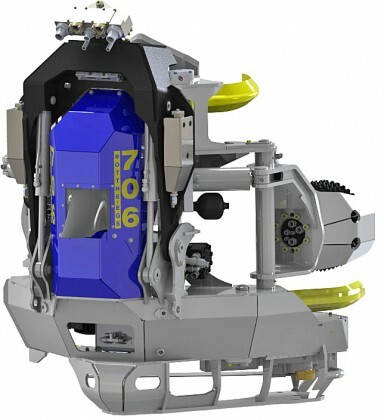 EGS 706 is a robust harvester head designated to Rottne H21, with a cutting diameter of 75 cm and a 2-speed, hydraulic controlled, tree feeding (3,5 m/s or 5,2 m/sek). 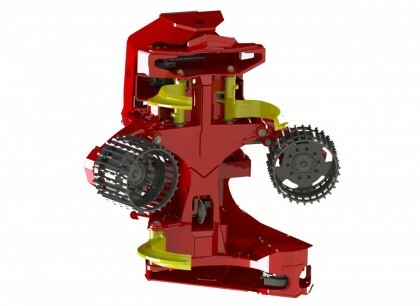 A stable harvester head with significant power resources which is required when handle heavy final felling. 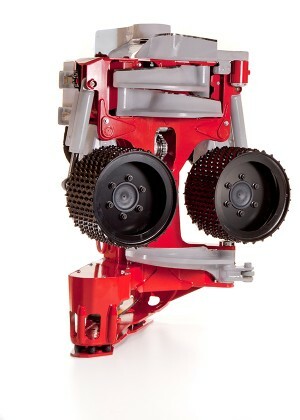 The head has five feed rollers, two in the supporting wheel arms and three in the frame. This give the same advantages as in EGS 596, we can run with lower knife pressure which reduce friction and a better utilization of the feeding force. 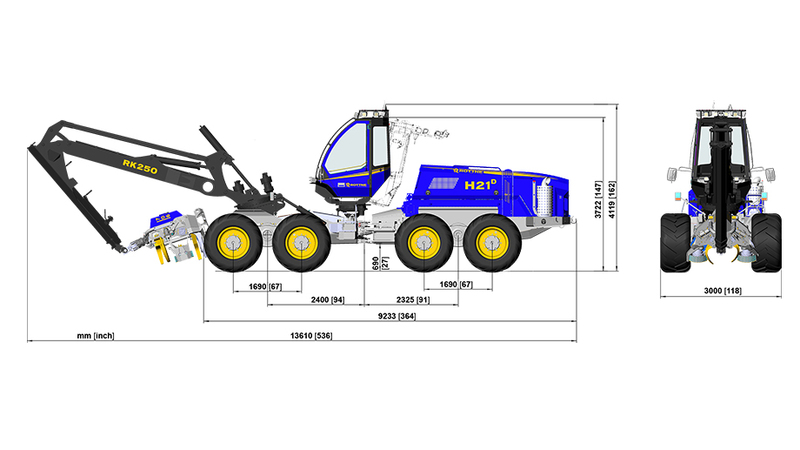 The upper and lower limbing knives and wheel arms can either jointly or individually be operated. Diameter measurement is performed via sensors in the upper knives and length measurement by a separate free-running measuring wheel. 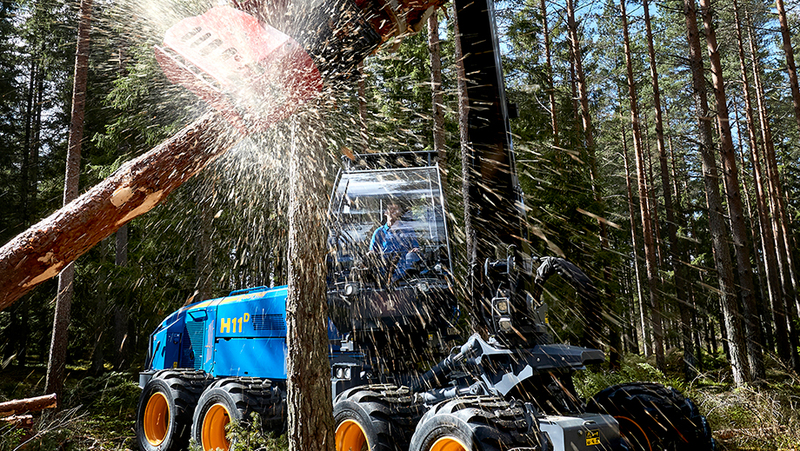 Log Max 6000B is a light-weight head suitable for final felling. This head combines low weight with high power and is especially designed for large wheeled carriers. 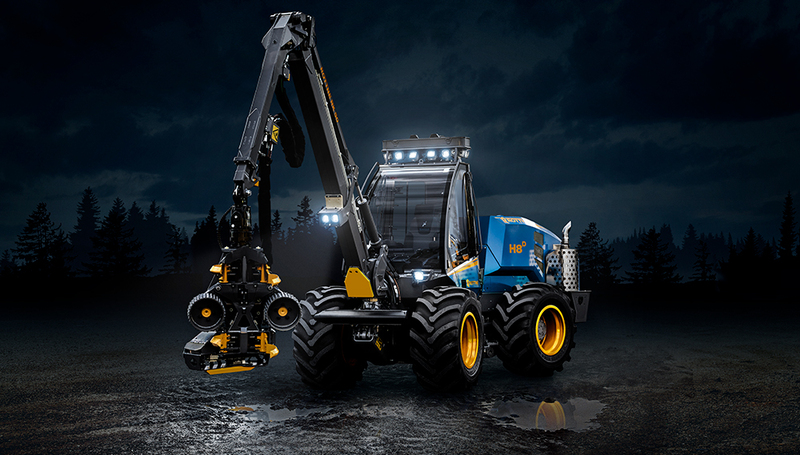 The Log Max 6000B is built on well proven hydraulics with a maximum hydraulic pressure of 260 bar (3,771 psi) and max flow of 280 l/min (74 gpm). The feed rollers always work perpendicular to the tree which has for benefit to minimize friction losses and roller penetration. This geometry also ensures accurate length and measuring for high quality timber. Well placed guards and heavy-duty covers protect internal components and hoses from damage. 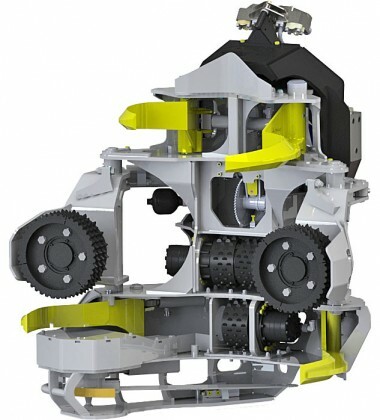 High performance saw hydraulics provide full flow to the bottom saw for fast cutting. 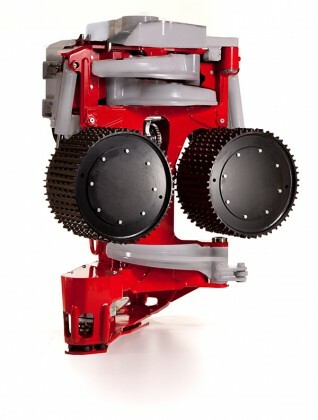 Log Max 6000B can be equipped with a Hultdins Supercut saw. The Log Max 7000C harvesting head is built on a tough frame and combines high drive power and high speed. This head performs very well in heavy and branchy trunks. 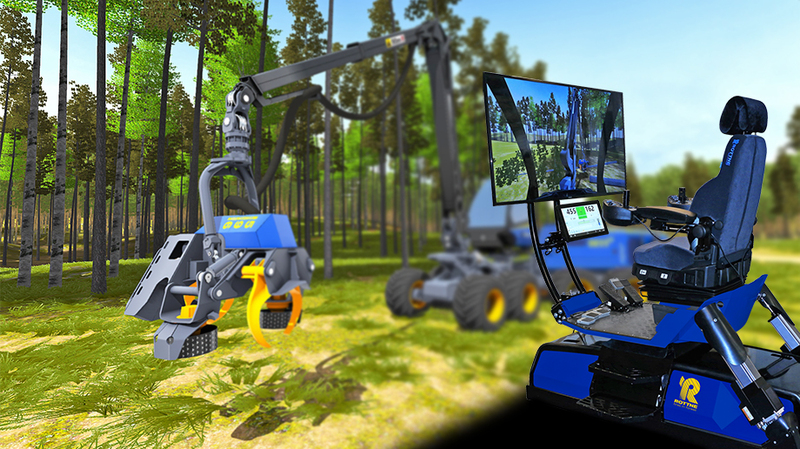 Variable displacement feed roller motors provide fast speed in smaller wood and automatically regulate to provide more power in tougher limbed trees. Well placed guards and heavy-duty covers protect internal components and hoses from damage. High performance saw hydraulics provide full flow to the bottom saw for fast cutting in all timber sizes.